If they break this union, they will break my heart. 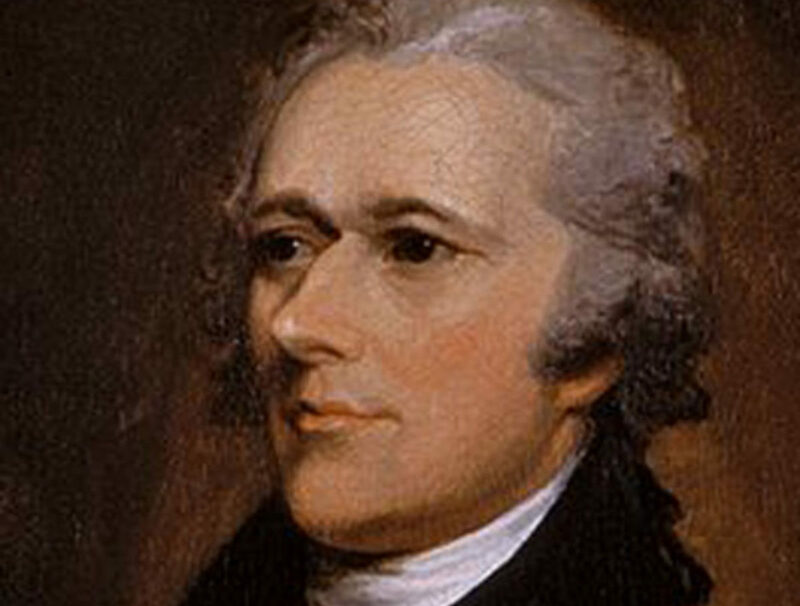 Hamilton was wary of government dissent and concerned about too much immigration. Creator of the Bank of the United States, the precursor to today’s Federal Reserve, Hamilton vociferously initiated attempts to expand federal powers. He believed a stable society required a large, strong nation. This would be a fulfillment, not a betrayal, of the American Revolution. His nemesis, Thomas Jefferson, argued the opposite position, that of states’ rights. This tension created the two-party system, not found in the Constitution. And “government overreach” was not a phrase Alexander Hamilton, obsessed over the stability of his new union, would have used. Striped bass spend summers off New England, then migrate down the east coast to warmer waters for winter. If one state has few or no regulations, anglers will flock there. If Virginia has no limits at all while North Carolina allows you one fish, where will you go? To the jurisdiction with the fewest rules. Because fish migrate, one state can maul the entire resource. Jefferson, the ardent fan of liberty, would want each state to be free to set its own fishing laws. Hamilton wanted to expand the powers of the Congress. Unyielding in his view, he said individual states couldn’t even perceive, must less defend, the national interest. Jefferson believed most federal controls were too dangerously close to the British Empire from which we’d just unshackled ourselves. In their time, the two framers clashed over taxes on alcohol. Cause for another Boston Tea Party? Not long after the U.S. gained freedom from the British, the national government set up a hated tax on distilled spirits to pay off war debt. In the 1794 Whiskey Rebellion, farmers near Pittsburgh set fire to a tax collector’s house in protest. President George Washington used the militia to quell the rebellion and Hamilton wrote to the governor to demand he get the “insurgents” in line. Fifteen years after Hamilton’s untimely death in 1804 in a duel at age 49, the Supreme Court weighed in on the debate over government powers. Its decision has reverberated for centuries. McCulloch vs Maryland established the doctrine of implied powers: If the goal of the law was protected by the Constitution, then the tactics by which to get there are constitutional also. Article 1, Section 8, clause 18 became known thereafter as the “elastic clause” or the “necessary and proper clause.” It expands the 17 powers the Constitution assigns Congress, including regulating interstate trade and funding a military. For example, if Congress has the power to regulate what is bought and sold across state lines, then the Food and Drug Administration is created by the need to carry that out. Coca Cola is produced in Georgia but sold in all states, so the FDA regulates its ingredients. So a common misconception about the “elastic clause”–that it means that the federal government can create any law it likes–isn’t true. Do we need the Internal Revenue Service to collect federal taxes, or is the IRS an example of tyranny? Do we need a Food and Drug Administration to regulate our medicines, or should that be left up to the states? Is Obamacare covered by the elastic clause? Or it is nowhere in the Constitution? Should car emissions be up the states? Or should it be controlled by the feds, because pollution crosses state lines? Thus Alexander Hamilton favored a strong executive branch and central judiciary, and a powerful Congress to set national laws. And in his United States of America, “united” would weigh the most. If you enjoyed this post, please consider joining The History Dr community to stay in touch. We promise not to spam your inbox with annoying reminders. We respect your time.